The official Tour de France 2017 video games are now available in retail stores and for download on PlayStation 4, Xbox One and PC. Play as the greatest champions and live an exciting Tour de France 2017 on consoles, or become a sports manager on PC, and lead your favorite pro team to victory. In this exciting Tour, race through time-trial stages at Düsseldorf and Marseille, before mythical mountains climbs such as le Galibier and l'Izoard, until the great finale on the Champs-Elysées. The pace of the race, stamina management, climbs and descents have been recalibrated to provide improved realism and immersion. Take advantage of key areas such as windy sections that can generate bordures. Play a full stage in real-time or accelerated x16, play the key-areas only, or even skip the stage entirely. An enhanced AI system means the challenge is also greater now, along with the risk of being disqualified if you finish a stage outside of time limit. Players will now be able to form clans in order to join other members of the community to organize competitions, chat and compare achievements in-game. This edition features improved realism concerning race tempo, rider speeds and sophisticated AI, as well as the management of stamina and preparation. Players also now have the ability to set riders in a paceline at any time during the race, to protect and prepare them ahead of key-areas. A revamped progression system has been introduced in Pro Cyclist mode - fulfill the objectives given by your manager to progress within your team and beyond! 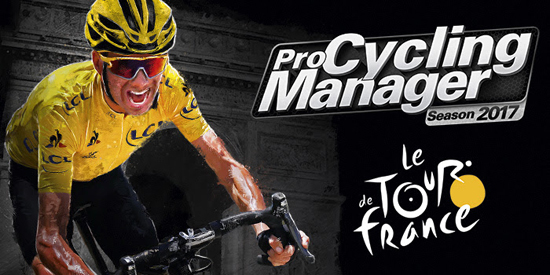 Starting today, the official video games of the Tour de France will be available on PlayStation 4, Xbox One and PC.